We are Greg, Nikki and Ophelia Saldi, serving with Kontaktmission, a European-based church planting organization, and France Mission, a French church planting organization. 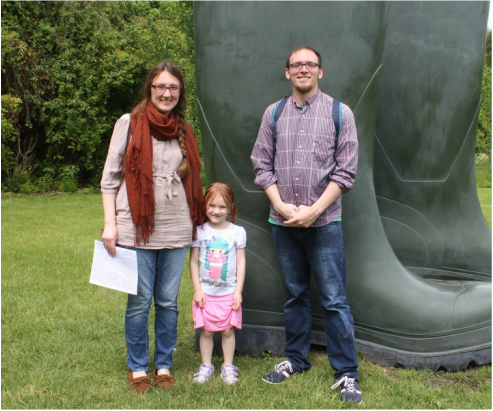 That's us in front of some giant wellies! Photo by Rob Harris. We are part of a team who in 2016 planted a church in Descartes, a campus of the France Mission church in Loches. To read about why we personally have felt led to work in France, please click the "Our Stories" tab at the top of the page.